Lumon Fit Can Do For You! 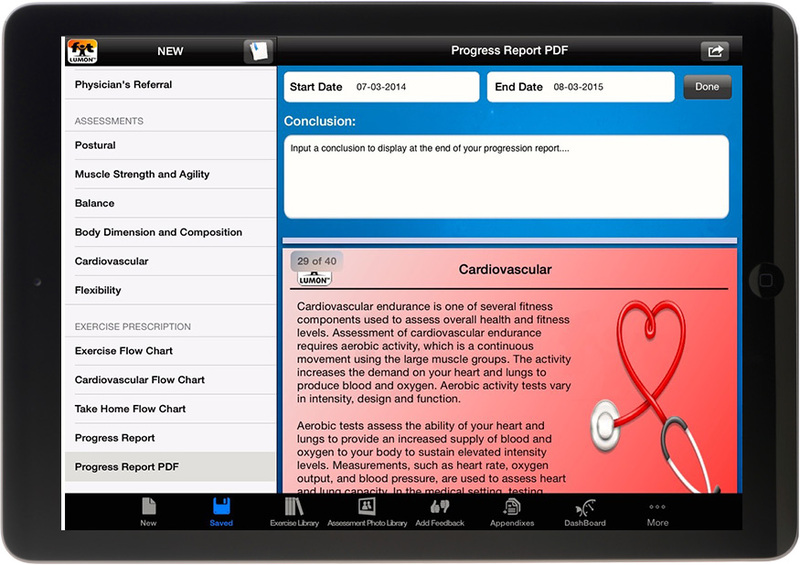 All calculations are automatic and done in seconds (body fat %, VO2, BMI, ratios, averages, body fat mass. 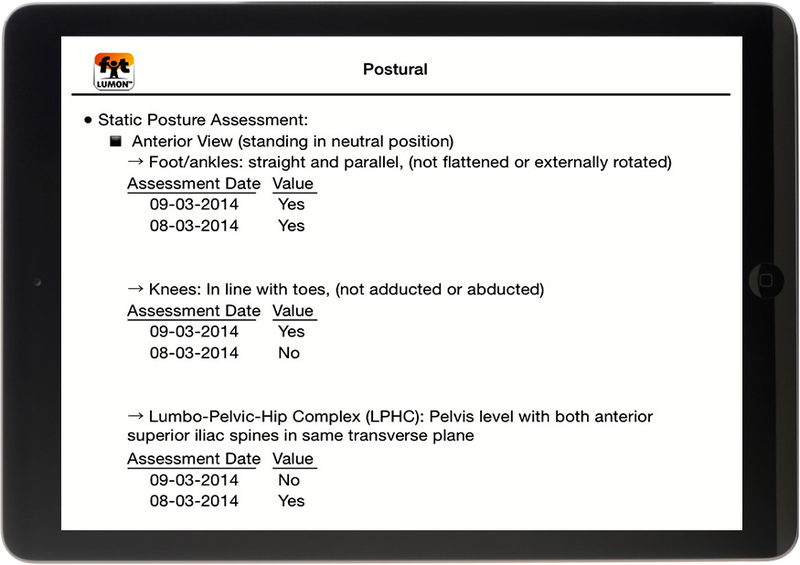 Ditch the clipboard and move to Lumon Fit! 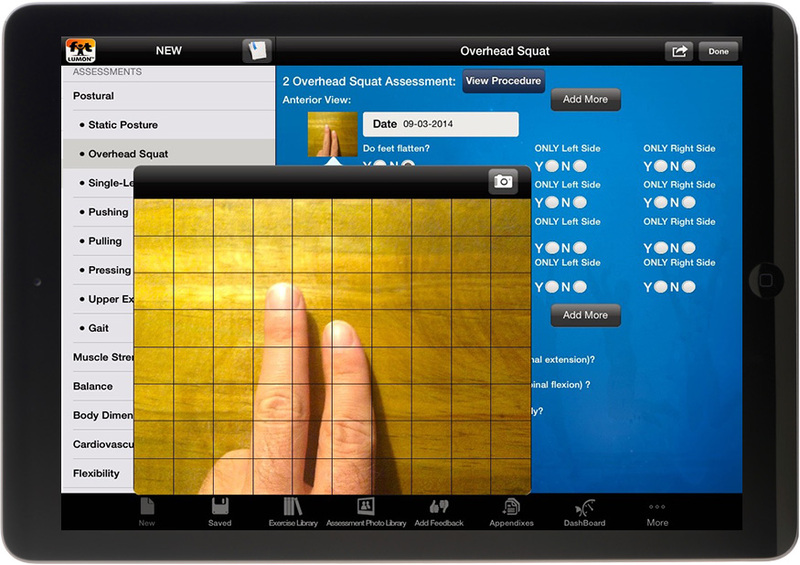 The ultimate comprehensive tool for trainers and physical therapists. Who was it developed for? Why you’ll want to use it? 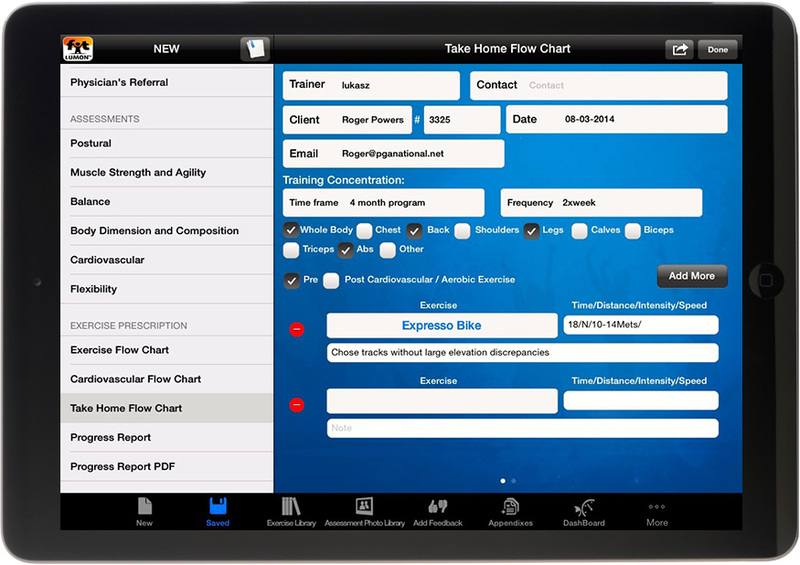 If you are serious about working in wellness, fitness, rehabilitation or in the sports industries and want to provide an astonishing level of service every day, this is a tool you MUST have. It will be your best friend in your every day professional life. 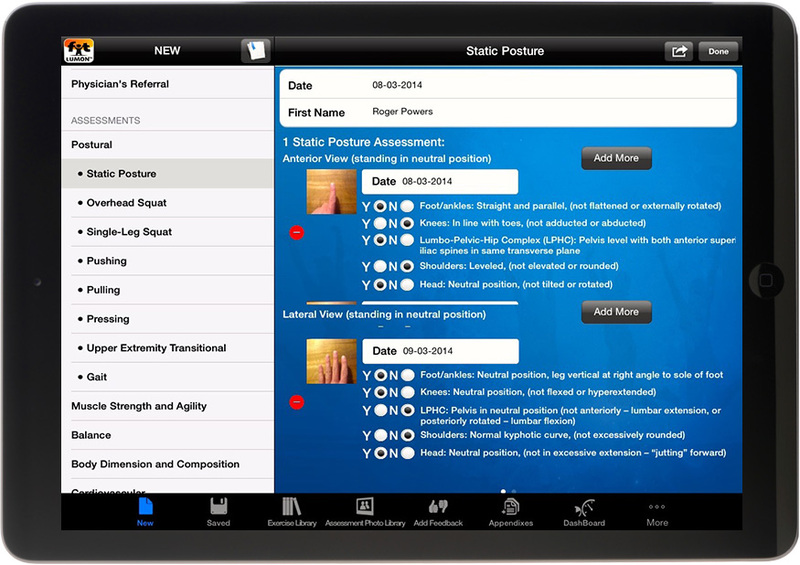 The moment you start using LUMON FIT, it will begin conforming to meet your needs. The longer you use it, the more it reflects your own strategies and patterns, and therefore the more valuable it becomes to your profession. 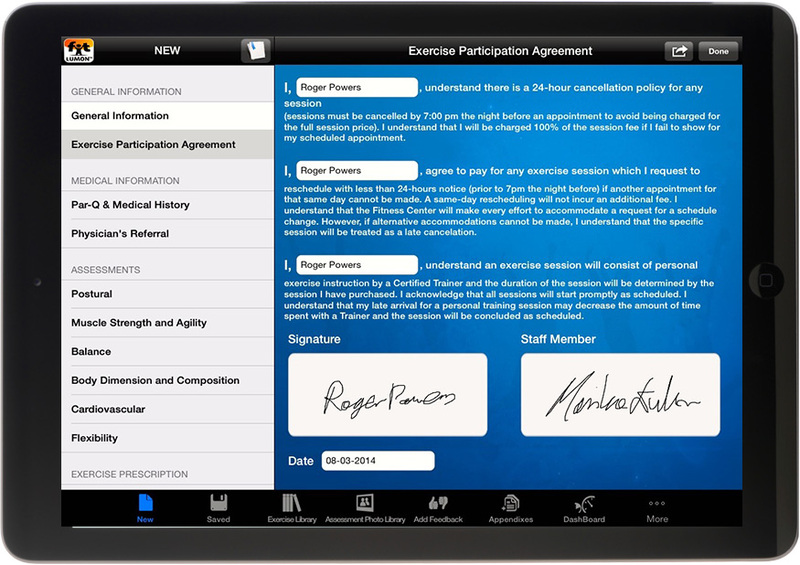 The LUMON FIT application has been designed to benefit people within the rehabilitation, wellness and fitness realms. 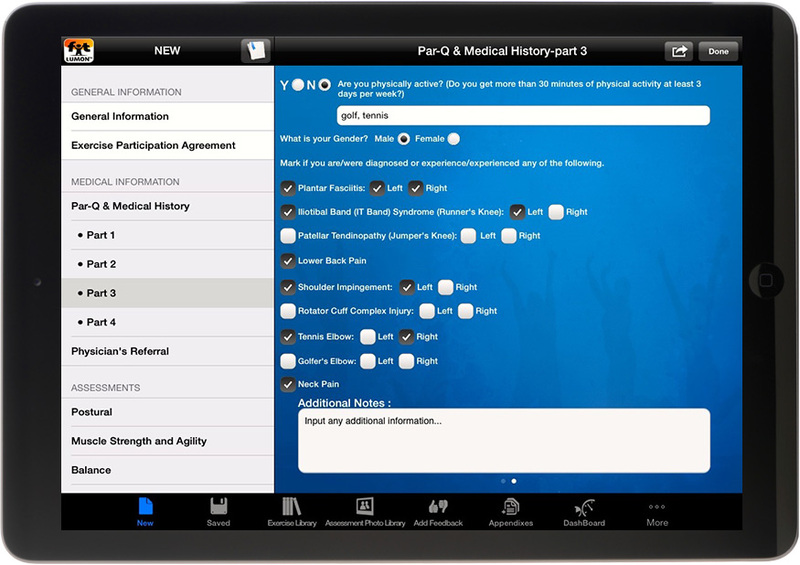 The application uses scientific rationale that is derived from current industry standards. 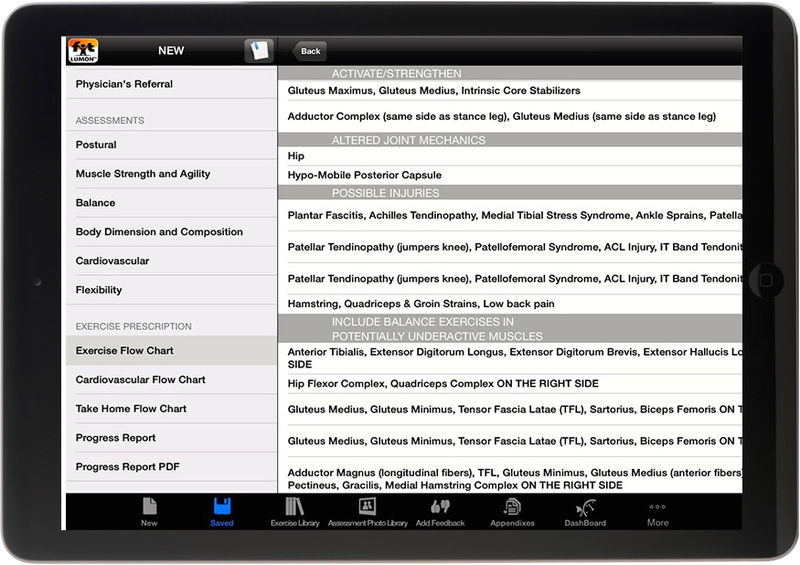 All calculations, procedure descriptions and existing algorithms represent a science-based approach. 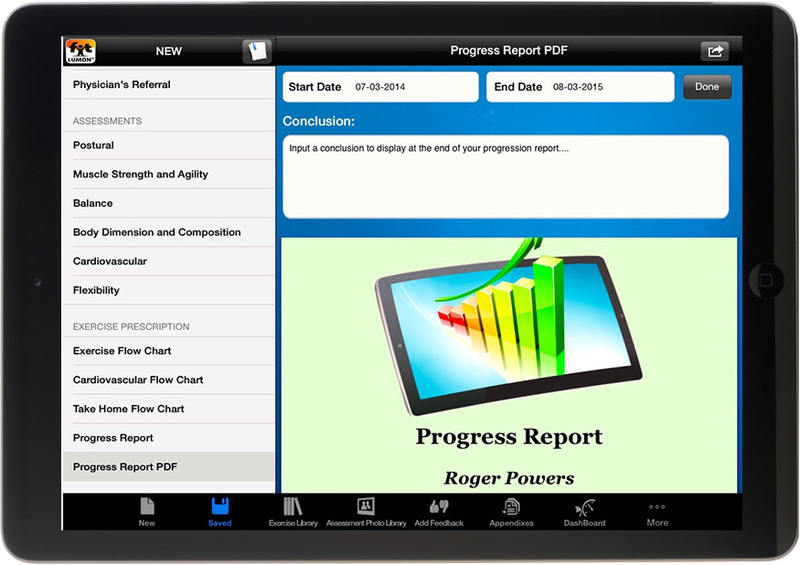 Author of OVERLOAD – “Fitness, Sports, and Coaching resources for a better YOU” blog.